Writing and Formatting for Improved Reader Engagement | Amy Bucher, Ph.D.
There’s probably a complete education rivaling a real college degree available on the web, if only you knew where to find it . . . and had the patience to read it. The fact is, people read differently on the web than they do in other formats. They scan: 79% of them told Jacob Nielsen that their first move when landing on a new web page is to scan. 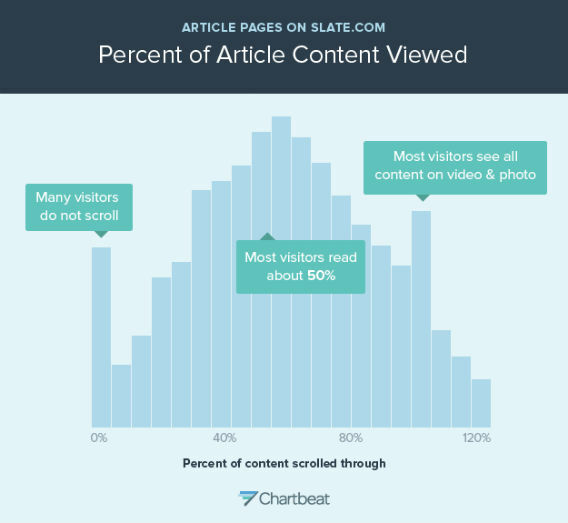 This means that there’s potentially really great content being left in the dust because page visitors aren’t noticing the deeper meaning when they scan. Worse, people are classified into three types of web users: readers, scanners, and bottom feeders. Each type is progressively less likely to read in detail than the last, and guess which type is the least common? We readers are going the way of the dodo. That’s sentences and paragraphs, folks. To the point. Say your bit and move on. This goes with the above. A bulleted list is easy to scan and eliminates the need for wordy transitions. At least, make your font bold as often as you need to flag major points and key words. Anything that draws the reader’s eye to important text is good! Subheadings again help draw the reader to key points and visually break up blocks of text. Unlike some other forms of communication, web content is not about creating suspense. Open with your main idea, so that if you lose your reader’s attention quickly (and you will–data proves it; many people don’t even scroll), you’ve still gotten your point across. Conclude with the point, too. Your conclusion is another prominent area of real estate for a skimmer. Wrap up with your main idea to hammer it home. Use colors and visuals to help communicate meaning. This tip actually comes from advice to improve health behavior in people with low health literacy, but it also works for designing web content that communicates meaning quickly and effectively. People do read. It’s always been natural to adopt different reading styles for different types of materials. Compare a novel to an instruction manual. Different, right? People will read material more avidly when it is self-relevant (a lesson I should have absorbed from my own work offering tailored health coaching). If something is directly relevant to someone, they will read it much more carefully than if it’s a moderately interesting piece to pass the time. My takeaway? Successful web writing requires a style compatible with how people read on the web, but there is also a more deeply interested audience for in-depth content. Just this week, David Tuller posted an entry on the NYTimes that describes the differences between academic and popular writing; some of the tips he includes there, like avoiding references and acronyms, are probably wise for the web writer, too. I hesitated to blog about this because I am terrible about using these principles myself. I don’t mean to write big blocks of text! I happen to be a verbal book lover who still hasn’t adequately transitioned to the digital world. I am hoping that reviewing these tactics myself for a post will lead to an improvement in my own web writing. Here’s to kaizen. Bad news, writers. Ain’t nobody reading to the end of your web content. From Slate.com.